When you think about reuniting with old friends, family, or classmates, fun and good times should be at the top of the list. If you are in charge of planning the reunion, you shouldn’t have to worry about all the details. That’s where we step in! Let us help you plan your reunion━or any special event for that matter━so that you can have a stress-free experience while creating memories that everyone will cherish for years to come. Since you’re here, it looks like you’re already considering Arlington for your reunion destination, but let us toot our own horn for a minute, so you can truly see what Arlington has to offer. We are centrally located between Dallas and Fort Worth and conveniently situated in the middle of five interstate highways, making it easy for your group to easily access the city from two major airports. And with over 1,500 available hotel rooms, finding a place to stay in your budget and in the perfect location is a breeze. Also, many of the hotels are within minutes of the top attractions as well as museums, shopping, and restaurants. In Arlington, we do things a little differently, so we suggest you do the same. Go beyond the typical reunion where everyone meets at one venue and stands around catching up. Take your reunion to the next level by planning group outings to Arlington’s top attractions, where you can play, laugh, and learn while still getting caught up on all the time passed. When was the last time you felt that rush that comes from adrenaline-pumping thrills? Time to gather your crew and spend a day at Six Flags Over Texas! Channel your inner child and get out of that rut we call adulthood. Also known as the Thrill Capital of Texas, Six Flags Over Texas is the perfect place to reconnect over that feeling of being a kid again. If you have kids with you, there are also tons of family rides and roller coasters for the little ones. Arlington is home to AT&T Stadium, home of the Dallas Cowboys, and Globe Life Park, where the Texas Rangers play, and both offer group tours that give you exciting behind-the-scenes access to these incredible venues. At Globe Life Park, you’ll get to tour the batting cages, the dugout, and the press box. And a tour of the park would not be complete without a photo of you standing next to the iconic Nolan Ryan statue. AT&T Stadium lets you get up close and personal with several areas, including the Dallas Cowboys and Dallas Cowboys cheerleaders’ locker rooms, the press box, and much more. And the best part? This is the only stadium in the country where visitors are allowed on the field! Don’t forget to bring your own football so you can truly experience what it’s like to play on the same field as the Dallas Cowboys. At this point, we know you’re convinced that Arlington is the place for your next reunion or special group event. 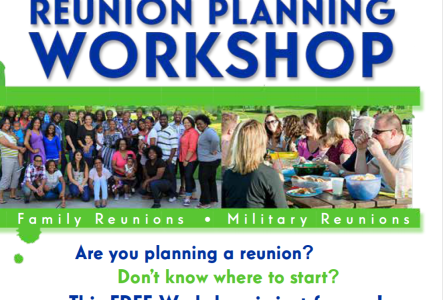 Attend our free Reunion Planner Workshop for extra tips and strategies. First, fill out a Request for Proposal for assistance with booking a block of hotel rooms or finalizing your itinerary. One of our helpful Convention Sales Team members will be happy to assist you. We can’t wait for you to experience all that Arlington has to offer and create memories that will last a lifetime.